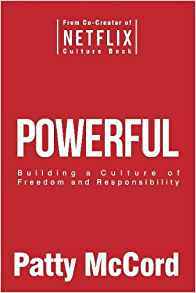 Former Chief Talent Officer at Netflix, workplace innovator, culture & leadership consultant, & author of Powerful: Building a Culture of Freedom and Responsibility. Heading up HR at Netflix, Patty McCord experienced the unconventional start-up work cultures of Silicon Valley up close. She has made a close study of what makes these new cultures work and offers some surprising insights into how deceptively traditional some of these eccentric new offices still are. Finally, she introduces some challenging new ideas on how to motivate people, develop talent, build trust, and ultimately create dynamic and thriving businesses in any industry. 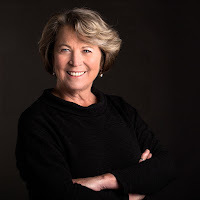 Patty McCord coaches and advises a small group of companies and entrepreneurs on culture and leadership as the Principal of Patty McCord Consulting. She also speaks to groups and teams around the world. Patty served as Chief Talent Officer of Netflix for 14 years. Along with input from the Netflix management team, she helped to create the Netflix Culture Deck. When it was posted on the Web, this presentation took on a life of its own. Sheryl Sandberg has said it “may be the most important document ever to come out of Silicon Valley.” The presentation has been viewed more than five million times. Patty was in charge of operationalizing those concepts. This involved creating or sometimes eliminating patterns, systems and structure so that the words and aspirations of the culture document became behaviors ad modes of operating.